Seabourn is a cruise line that expertly combines adventurous travel with impeccable luxury. Not only are their ships decked with style and opulence, but Seabourn ventures to some of the furthest corners of the earth. Here’s just an example of some of the most exotic ports you can discover with Seabourn Cruises. New Zealand is one of the few places on earth that is a perfect combination of untouched natural landscapes and colourful cities. Auckland is its main cruise port, and is one of the few cities to have a harbour on two different bodies of water. Then half an hour drive from the city there is an abundance of outdoor activities, including sailing to a secluded island, trekking through the rainforest, picnicking on a volcano, sampling wines at a vineyard, or exploring a black sand beach. Bora Bora has long been noted for its stunning beauty and impeccable luxury. The atmosphere here is also incredibly friendly and laid-back. Where you can spend your day scuba diving in the intricate coral reef structures, then unwind at night by relaxing under some of the clearest skies in the world. 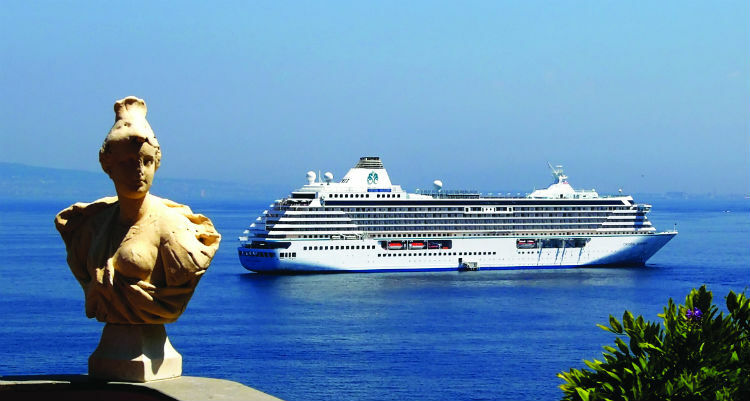 Seabourn offers a wide range of Mediterranean cruises to some of the world’s most popular ports. But somewhere that is a little different is Jerusalem, one of the oldest cities in the world and considered sacred to more than a third of the world’s population. Aside from the ancient wonders – such as the Jewish Sacred Western Wall, and the Church of the Holy Sepulchre – you can also enjoy scorching temperatures and dip your toes into the rejuvenating Dead Sea. Cruises through northern Asia are very popular, but not many include elusive South Korea in their itineraries. The city of Busan is the main cruise port, which is home to delightful urban scenery, and the Pusan International Film Festival – oh, and there are hot springs nearby. If you’d like to witness an iceberg up close, then we recommend the Greenlandic town of Ilulissat, which is the Greenlandic word for ‘iceberg.’ The Jakobshavn Glacier is located not far away and drains 6.5% of the Greenland ice sheet and produces about 10% of all icebergs in the world. Despite that, people have lived there for 4,000 years and as you sail into the harbour you’ll be greeted by an array of colourful houses that are typical of the Greenlandic aesthetic. The northern Canadian province of Nunavut is not a place many people can say they’ve explored. Seabourn stops in Akpatok Island, a remote uninhabited Arctic island located in Ungava Bay. It’s been named a Key Migratory Bird Terrestrial Habitat site thanks to the sheer number of thick-billed murres and Brunnich’s guillemots who breed here. It’s also an incredible place for spotting walrus, seals, polar bears and whales. Known as the world’s final frontier, Alaska should be on everyone’s cruising bucket list. Bears, salmon, and eagles roam freely in large numbers, undisturbed glaciers shimmer during daylight hours, and the landscapes are dotted with rustic towns. Most Alaska cruises start off on the stunning Canadian city of Vancouver and stop off in the Alaskan capital Juneau, historic Sitka, authentic Haines, and the beautiful Seduction Point. We’d forgive you if you haven’t heard of this Pacific Ocean Island. Lost in a vast ocean halfway between Hawaii and Tahiti, it is rarely visited by anyone. Which is part of its appeal. It’s a place where you can spend your days relaxing on untouched beaches while sipping fresh coconut water and listening to incredible stories from the friendly locals. Words cannot describe the incredible feeling of witnessing Antarctica in real life. This is nature in its rawest form, where seabirds, whales, seals and penguins outnumber humans, and glaciers dominate the skyline without even a speck of urbanisation. 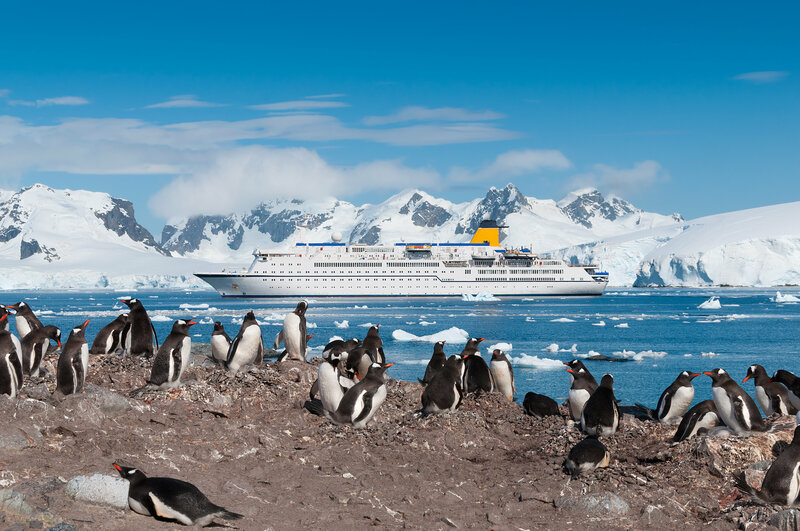 When you cruise to Antarctica with Seabourn (either from South America or Patagonia) you’ll be treated to zodiac landings, digital photography workshops, complimentary Seabourn parka and backpack, and an onboard Expedition Team providing insight to all aspects of the experience. Not technically a destination, but if you’re struggling to choose from the exciting range of destinations – a World Cruise is always an option. Itineraries vary and can include anywhere from South America, to Australia, to the exotic islands of the Indian Ocean! 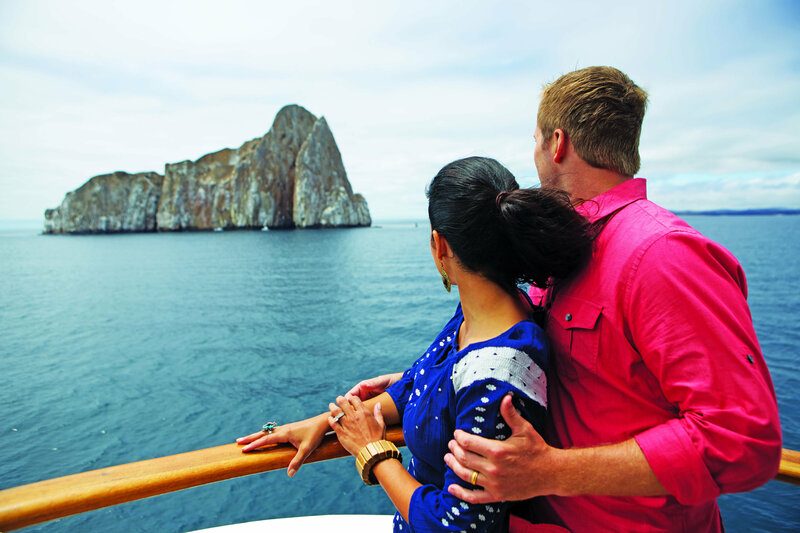 Where will you visit first with Seabourn Cruises? 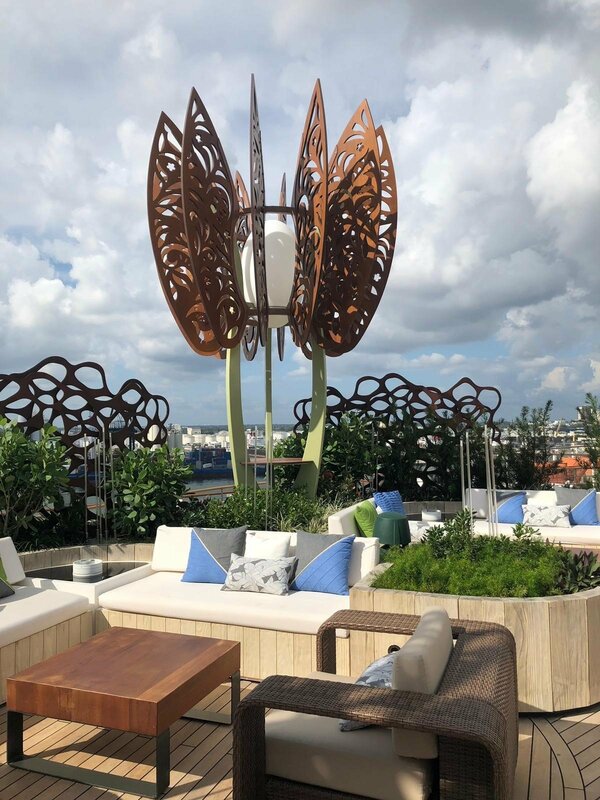 Today is the inaugural sailing of the MSC Bellissima . A sister ship to MSC Meraviglia, she boasts innovative technology, exciting entertainment, extensive dining options, and superb family facilities.The earliest itinerary available to book through Barrhead Travel is a 7-night Western Mediterranean cruise on the 26th of May. She’ll stop in Genoa, Naples, Messina, Valletta, Barcelona and Marseille, before returning to Genoa. Prices start from £1,099pp and includes exclusive return flights from Glasgow with British Airways, transfers, and all-inclusive board. Crystal Cruises is the epitome of luxury. Not only are their ship visually beautiful, but on-board you’ll find everything you need for a luxurious cruise – including gourmet food, plush suites, and top-of-the-range entertainment. Crystal also sail to some of the world’s most exquisite destinations and offer onshore experiences where you can really immerse yourself in your destination. We would be here all day if we were to explain everything that makes Crystal Cruises one of the world’s most sought-after cruise lines, but we’ve narrowed down our list to the top 10 reasons why everyone should cruise with Crystal Cruises at least once. 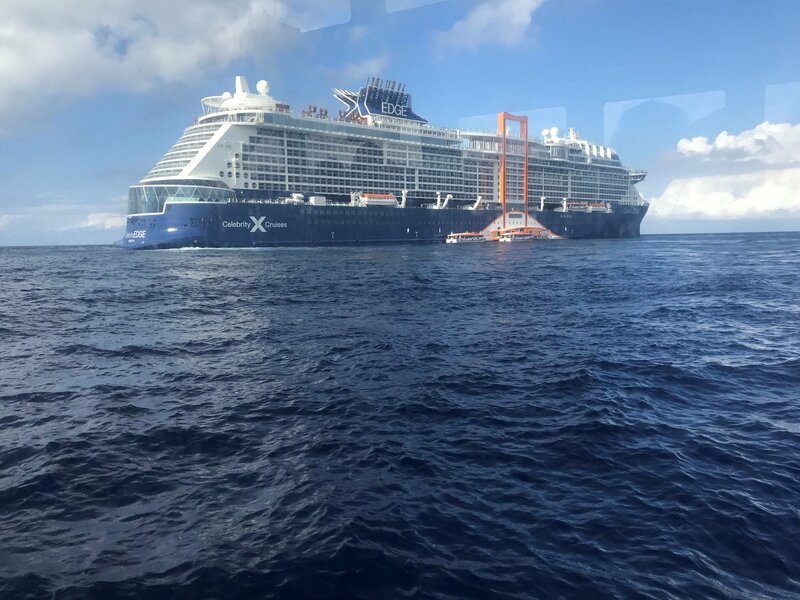 It feels like it’s been a long time coming, but the Celebrity EDGE is finally here. Our Cruise Business Development Director, Catriona, was lucky enough to be invited along to her recent Naming Ceremony. Here are her thoughts on the futuristic new ship. On Celebrity Edge all 5 are not only met but exceeded. The design of the ship is unlike anything I have ever seen in that the attention to detail in everything they do is exceptional. The ship feels like a Luxury Hotel at Sea. Their position of Modern Luxury is unique and ‘on point’. The ship feels like a hotel. The ceilings are higher and the flow of the ship is easy and everything is accessible. The soft furnishings are exquisite and – if you were inclined – you could spend your entire holiday just looking at the artwork, the sculptures and the chairs. The accommodation and ‘Edge balconies’ are not the traditional builds and that is what makes them so special. 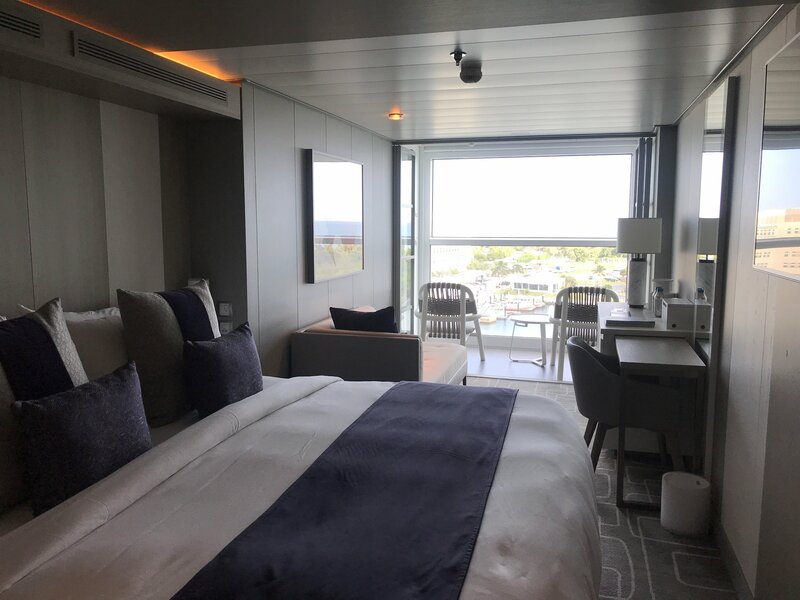 The staterooms look longer and more spacious. At first, I have to say I wasn’t sure but you know what? I love this design. The food is exceptional and the venues are entirely different and special from each other. This ship is so different: it pushes the boundaries of cruising. So who is it for? Luxury land lovers looking for a new experience or experienced cruisers looking for a blow-your-mind experience. You need to see this ship, once the secret is out I’m sure it will be inundated with guests trying to secure their ‘Edge experience. If you’re looking for a fun, family-friendly mega-liner that is available for budget cruisers, you can’t do go wrong with Norwegian Cruise Line or Carnival Cruises . 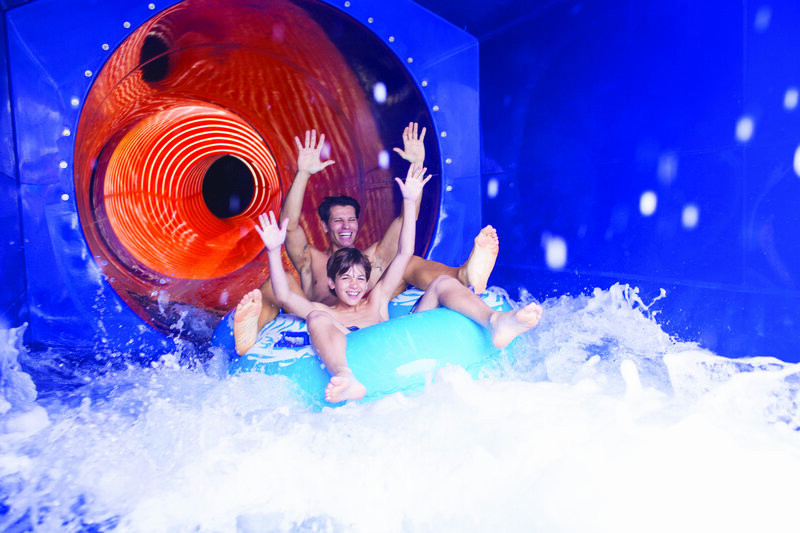 Both cruise lines offer a generous selection of onboard activities ranging from waterslides to adult-only restaurants. When deciding which cruise line is right for you and your family, the difference really is in the details. Carnival Cruise Lines currently owns 25 cruise ships, with another two due to set sail next year. Their newest ship is the Carnival Horizon, which cruises to the Caribbean and is homeported in Miami. Its stand-out amenities are the Havana Pool & Bar, IMAX Theatre, Dr. Seuss WaterWorks, Serenity Adult-Only Retreat, Cloud 9 Spa, and Lip Sync Battle. Many of these features are new, but older ships are regularly going back to into dry-dock for upgrades (Carnival Legend, for example, has just returned from dry-dock). NCL has a smaller number of ships at just seventeen. Their newest is Norwegian Bliss, which sails around Alaska and will move onto the Caribbean. And next year the Norwegian Encore will set sail for the first time and will sail around Bermuda and the Caribbean. Full details haven’t yet been announced, but we know the ship will be home to a 180-degree Observation Lounge. NCL’s ships also regularly enter dry-dock and all its ships have been refurbished within the last 5 years. 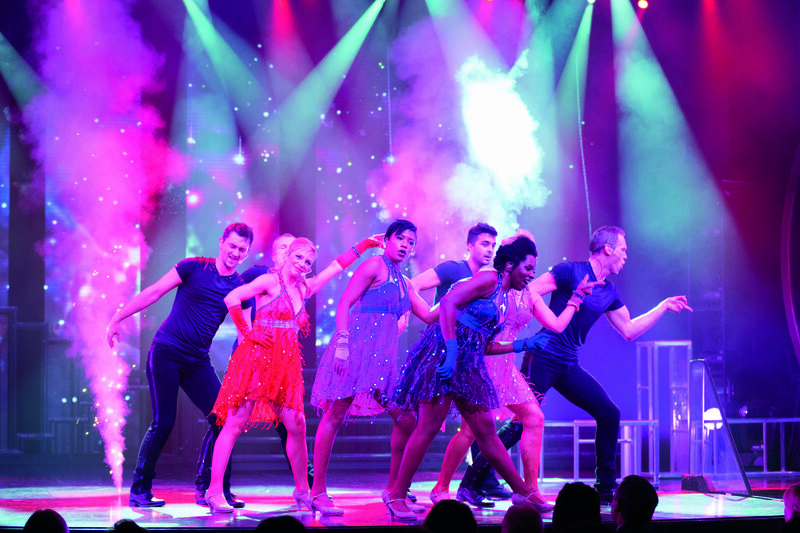 Both cruise lines boast nightly entertainment, with plenty of variety to keep your eyes and ears wowed throughout your time on-board. On-board NCL you’ll enjoy Broadway-style shows, theatrical performances from ballroom and Latin dance company Burn the Floor, dinner while acrobats dance above you, bars with live bands, and comedy from the Levity Entertainment Group (who have worked with Daniel Tosh, Amy Schumer, Gabriel Iglesias and Jeff Dunham). What is exactly available will depend on the ship and the itinerary. On Carnival, it is much the same though there is more shows aimed exclusively at children. 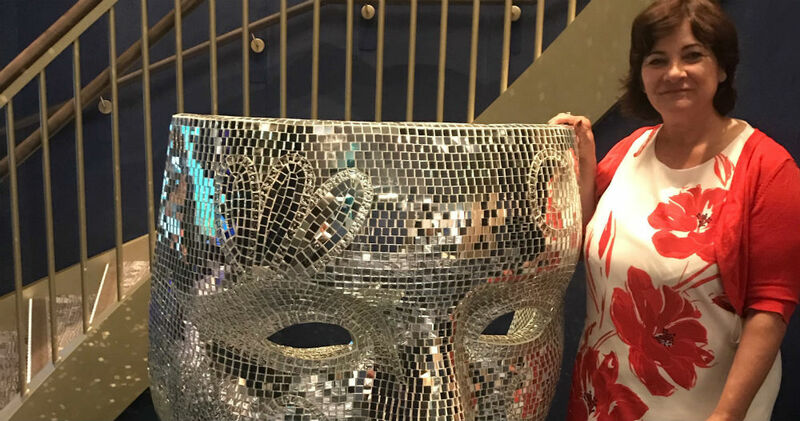 Depending on the ship, there’s a combination of Lip sync Battle, murder mysteries, The Punchliner Comedy Club, the 4D Thrill Theatre, movies on the pool deck, Broadway-style shows, karaoke, and bars with live music. Children will also love the live-version of the Hasbro board game. Both cruise lines are famed for their adventurous on-board activities, and it’s unlikely you’ll get bored on any of the ships in their fleet. Norwegian Bliss is NCL’s newest ship, released earlier this year. On-board you will find the largest race track at sea, as well as laser tag, mini-golf, fitness centre, casino, and Aqua Park. While its sister ship Norwegian Escape is home to the fastest waterslide at sea, a multi-level Sports Complex and The Plank – which extends 8 feet over the side of the ship! Carnival doesn’t boast anything record-breaking, but still has much of the same type of activities. For the adrenaline-junkies, there is the SkyRide (a bike ride high above top deck – but you’re strapped in), mini-golf, a water park, IMAX cinema, basketball, and a video arcade. They also offer low-key activities such as cooking demonstrations, bingo, art exhibitions, a spa, and a library. Both cruise lines offer great amenities for children, with little difference between the two. Run by experienced counsellors, your mini-me will enjoy activities like arts and crafts, songs, games, toys, dancing, movies and video games. The kids also eat together and get their own menus. There’s also an evening crèche so the kids can stay up late while the parents enjoy a night at the bar. Kids (and even adults) will also love the Build-a-Bear Workshop at Sea, Hasbro Game Show, and Cherry on Top candy store. But Carnival’s unique family-fun feature is Seuss at Sea, which includes a special onboard character parade, interactive story time, arts & crafts activities, and breakfast featuring their favourite Dr. Seuss characters. 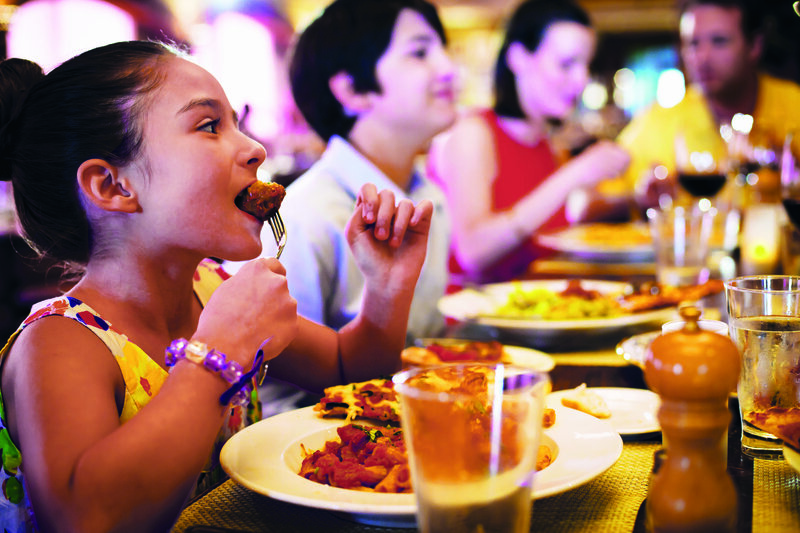 Over on Norwegian Cruise Line, families are also well catered for. Depending on which age group your little ones fall into, they will enjoy a wealth of activities ranging from circus skills, arts & crafts, sensory play, treasure hunts, and video games. There’s also a nightclub for teenagers. There’s also a Late Night Fun Zone where parents can leave their kids between the hours of 10:30 p.m. and 1:30 a.m. This involves a fee and the centre will close if no kids are registered by 11:30pm. NCL have long been champions of Freestyle Dining with no fixed times, while Carnival offers both fixed and flexible dining. But all ships in NCL and Carnival’s fleets offer numerous dining options. Norwegian boasts one of the industry’s largest selections of onboard restaurants, with as many as 25 dining choices. Complimentary choices include buffets, supper clubs, and standard pub grub. But, if you’re willing to pay a fee, you can choose from Japanese teppanyaki grills, steakhouses, Italian spots, Brazilian restaurants, French, sushi bars, and Asian noodle houses. it will depend on which ship you are on. Complimentary dining includes the Main Dining Room, a Mexican cantina, a burger joint, a salad bar, pizzeria, ice cream parlour, room-service and a Mongolian restaurant. Complimentary restaurants include a Dr Seuss themed restaurant for kids, a sushi bar, a coffee bar, and a steakhouse. Carnival also has a partnership with American chef Guy Ramsay Fieri. He has opened three different restaurants on-board Carnival Cruise Line ships: Guy’s Burger Joint, and the Guy’s Pig & Anchor Bar-B-Que Smokehouse. Both of these restaurants are included in the price. There is also a Brewhouse that is an additional cost. Both NCL and Carnival offers a range of room and suite types. The first option, The Haven by Norwegian®, is a yacht-with-a-ship concept where can enjoy the perks of an exclusive area with butler and concierge service but still reap the benefits of a superliner. Inside the Haven there is a lounge, restaurant, and sundeck with small pool. There are also six room types to choose from in The Haven, but for something extra special there’s the 3-bedroom Garden Villa that can fit up to 8 guests and comes with an outdoor terrace with a hot tub and a private dining area. 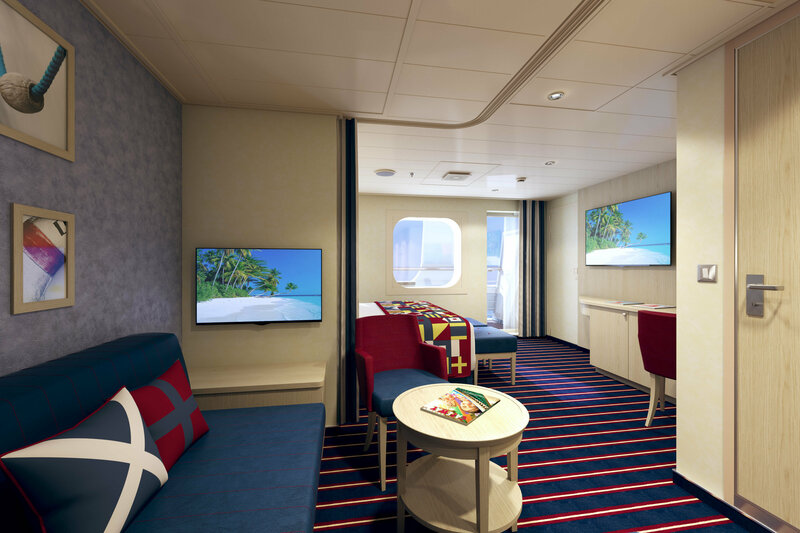 Carnival doesn’t have their own version of The Haven by Norwegian® or any penthouse suites. Out of the two cruise lines, NCL offers a wider range of destinations with a selection of Caribbean, Bermuda, Bahamas, Mexico, New England/Canada and Alaska itineraries. They also offer seasonal Mediterranean and seasonal Northern Europe itineraries. There’s also occasionally exotic sailings including South America, as well as Asia, Australia, India and the Arabian Gulf. Carnival Cruise Line, however, only offers standard Caribbean, Bermuda, Bahamas, Mexico, Alaska and Hawaii itineraries. There’s no European sailings or exotic itineraries. They do however offer the occasional Australia itinerary. Price wise, Carnival is more purse-friendly than NCL and offers some of the most competitive rates out of all the major cruise lines. For example, both cruise lines have a November 2018 Caribbean cruise that leaves from Miami. Our price with Carnival is £391.71pp on-board the Carnival Sensation. 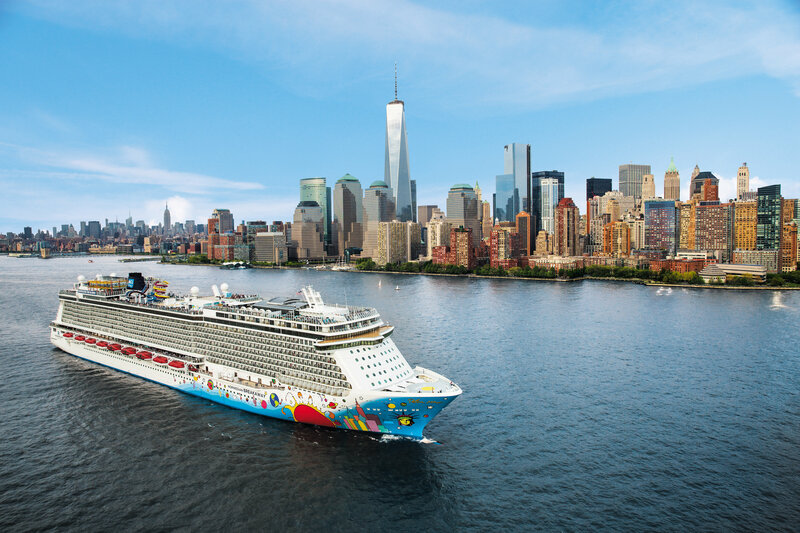 While our price with NCL for a similar cruise is £590.05pp on-board the Norwegian Getaway. Both cruise lines include accommodation, entrainment, and complimentary restaurants within the cost of the cruise. Guests on-board NCL who opt for The Haven by Norwegian® will also enjoy gourmet dining options in speciality restaurants, 250 minutes free WiFi per Suite, and US $100 onboard spending money per suite. NCL do occasionally offer all-inclusive sailings, but it’s not the norm. So which one is best for my family? If it’s a fun ship with exciting activities to keep your children busy that you’re looking for, both cruise lines hold up. The two major differences between the NCL and Carnival are the price point and the itineraries on offer. If you want to cruise around Europe, NCL is the only one between the two that offers this. However, Carnival is cheaper if you are looking for a Caribbean cruise. Minor differences include the accommodation options and the onboard activities. NCL offers a wide range of high-end suites and penthouses (and a 3-bedroom villa) if you are looking to treat yourself. And there are the themed Dr Seuss activities for children on-board Carnival, though NCL still has a lot to offer families. If you’re not a seasoned cruiser, cruise and adventure are not two words you might necessarily associate with one another. But adventure cruises – or expedition cruises, as they are more commonly known by in the cruising world – are becoming increasingly more common as cruising enters the mainstream and travellers yearn to discover more exotic parts of the world. Expedition ships are fitted with a high capacity for fuel and food and made with shallower hulls to ply new, previously uncharted waters. They also prove that “roughing it” and “adventure” are not synonymous, with some of the world’s most-respected luxury cruise lines owning a dedicated expedition ship within their fleet. But where to? Expedition ships have the benefit of being able to reach corners of the world that train or plans can’t. Unlike other modes of transport, there’s very little water or land still unchartered by the world’s many cruise lines. If you’re an adventurous traveller (or even an experienced cruiser) who has exhausted many of the usual bucket-list destinations – now is the time to explore further afield with this selection of adventurous cruises. There are many reasons why the Galapagos Islands should be on everyone’s bucket list, but one stands out in particular: it is home to a vast number of endemic species. The ecological system here is so profound that it even inspired Charles Darwin’s Theory of Evolution. Its remote location has allowed many rare species to thrive, and the lack of natural predators has brought about a harmonious relationship between humans and animals – so the animals don’t fear travellers. The Celebrity Xpedition sails only to the Galapagos Islands and knows the waters well. The smaller, 96-passenger ship is the perfect place to relax after a day exploring – whether it’s in the library, the sun-soaked sunrise desk, or the Blue Finch Bar on the Panorama Deck. The Galapagos Islands are not the only beautiful cruise destination in the South Pacific. Whether it’s the famous beaches of Fuji, the aquamarine life of the Conflict Islands, whale watching in Vava’u, or the peacefulness of the uninhabited Mystery Island. The South Pacific isn’t overrun with cruise ships, so picking one is usually a simpler task than booking a European or Caribbean cruise. 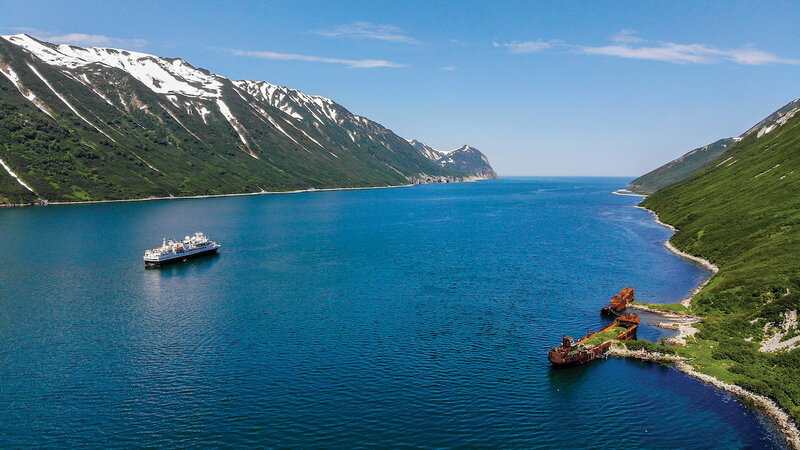 It is also a popular destination for Repositioning Cruises as they switch between their Alaska and Far East itineraries. Most itineraries focus on one particular part of Oceania – usually French Polynesia, Melanesia or Micronesia. 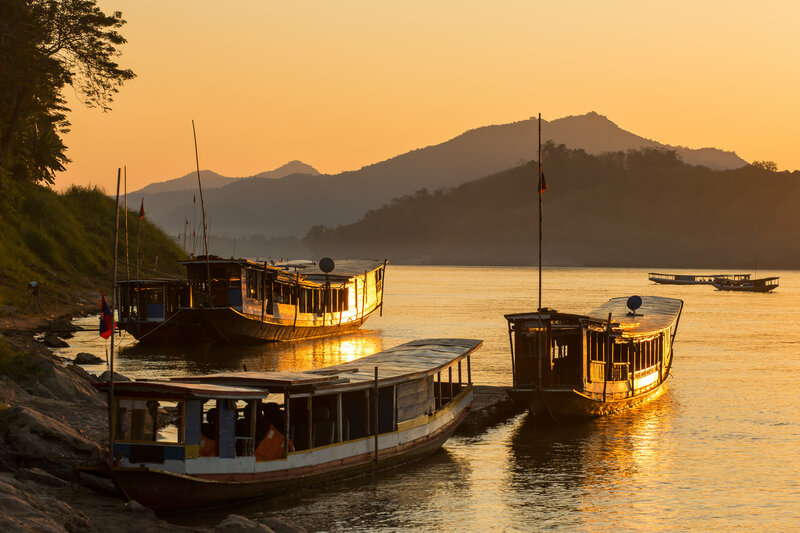 It’s not just ocean cruises that are travelling into new waters – several river cruise lines offer incredible itineraries along the Mekong River. These include AmaWaterways, Avalon Waterways, Uniworld, and Viking Cruises. Most of the itineraries take two weeks and usually include hotels stays on post and pre-cruise (it’s also the perfect excuse to book a twin-centre with somewhere in the Middle or the Far East). The majority of Mekong River cruise tours start and end in Vietnam, beginning in Hanoi and ending in Ho Chi Minh City (Saigon) or vice versa. They include a flight to Siem Reap and a sail on the Mekong, with ports in Cambodia and Vietnam. Antarctica is the ultimate bucket list destination – and it’s becoming more accessible than ever. Silversea, Scenic, G Adventures and Hurtigruten are just a handful of cruise lines that venture into the most southern continent of the world. Antarctica Cruises typically start in Argentina and usually stop off at a few ports in South America (including the Falkland Islands) before entering the icy waters of Antarctica. How many nights you’ll stay in Antarctica will depend on the itinerary (and how far you’ll be allowed on land). From the most southern point of the world to the most northern. If you want to explore the Arctic, you have plentiful options – in terms of both destinations and cruise lines. Since the Arctic is not technically a landmass in its own right, Arctic cruise destinations are any country that lies within the Arctic Circle. This includes the northern regions of Norway, Sweden, Greenland, Finland, Iceland, Canada, Russia and Alaska. Such a vast area is home to a rich array of wildlife, including polar bears (nicknamed Kings of the Arctic) whales, seals, walruses, Arctic foxes, musk oxen, reindeer and numerous birds. 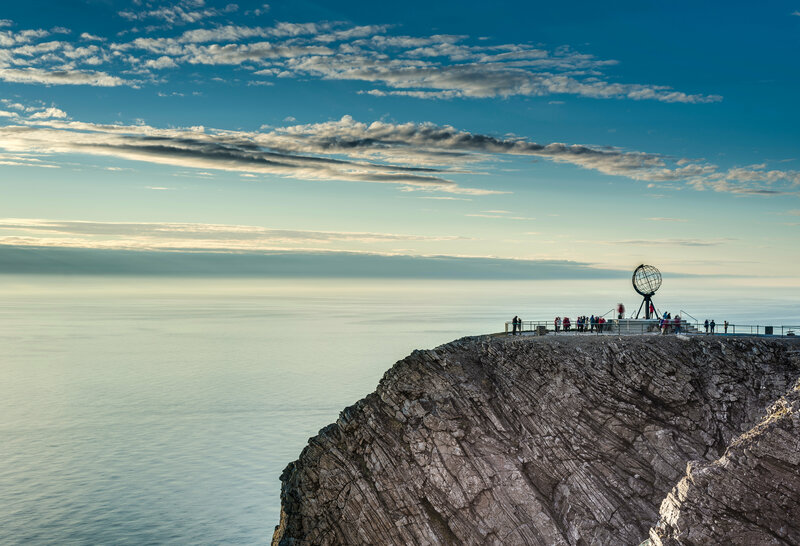 Saying all this, the most popular cruise itinerary is northward along the Norwegian coast toward Spitsbergen. In terms of cruise ships, you’d be pleasantly surprised how many cruise lines offer itineraries into the Arctic Circle. Cunard, P&O Cruises, Princess Cruises, Celebrity Cruises, Costa and Holland America Line all offer cruise lines that pass over the Arctic Circle. Hurtigruten is considered the expert at Arctic Cruises, however, and provide passengers with highly immersive experiences. 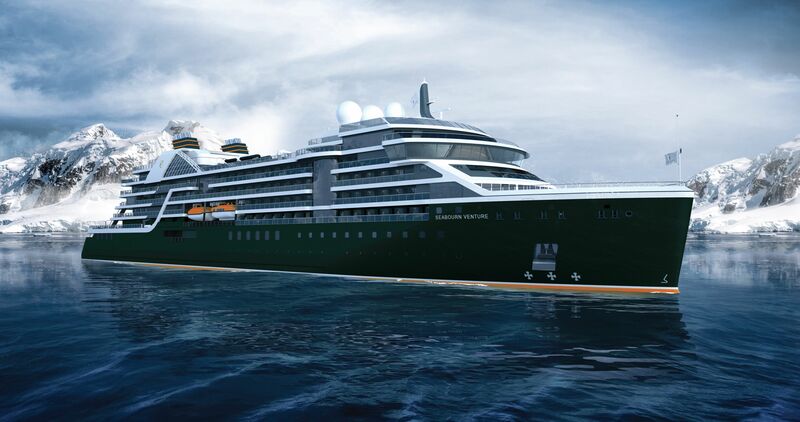 Remember we mentioned that even luxury cruise lines have a dedicated expedition ship? The Silver Explorer is Silverseas offering. It comes with everything you would expect from the ultra-luxury cruise line (from two high-end restaurants, Zagara Beauty Spa, and the Connoisseur’s Corner) but also comes equipped with a strengthened hull and a fleet of 12 Zodiac boats. River Cruises have traditionally been a peaceful way to travel, popular with retired travellers looking for an easy way to explore different cities in the one holiday. U by Uniworld is a new river cruise line (owned by luxury Uniworld) that is bringing something new to the rivers of Europe. On-board their modern ships, you’ll find late nights bars, fluorescent accents and rooms you’d more typically associate with a hostel than a cruise ship. Also, their range of excursions varies from laid-back activities to energetic adventures. Does a river cruise now feel like something you’d want to book? Here are 10 things to know about U by Uniworld. Named the A and the B, they each sail through a dedicated area of Europe. The A can be found floating along the Rhine, Main and Danube rivers in Central Europe. While the B cruises down France’s Seine River. The small size of their ships also means they can dock in the city centre of most destinations. Anyone travelling by themselves who wants to save some money (and make friends in the process) can book a bed in one of the dorm rooms. Though if you are travelling alone and don’t fancy sharing with someone, single rooms are also available. The two U by Uniworld vessels both have a fully-functioning restaurant like any other cruise ship. The main dining room, called Dine, serves brunch and dinner (including vegetarian and vegan options). 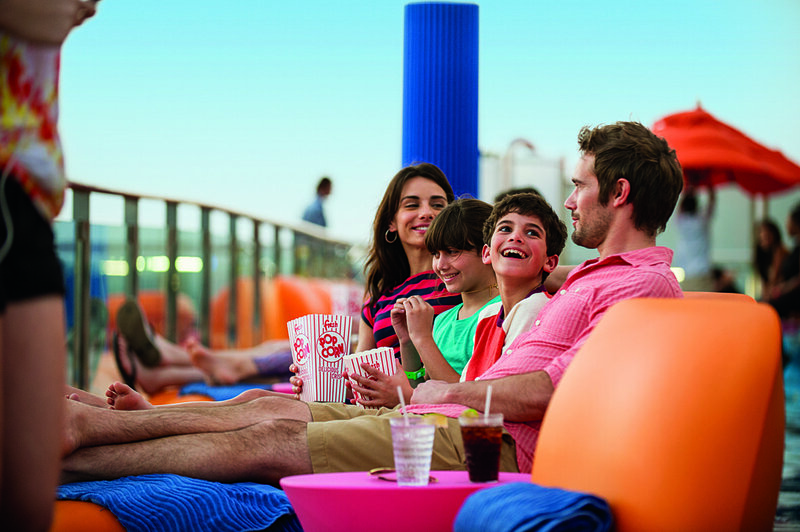 Then on the top-deck, you’ll find the U Lounge, which serves tapas-style sharing plates and after-hours snacks. U by Uniworld isn’t all-inclusive, but you won’t need to reach for your wallet too often. 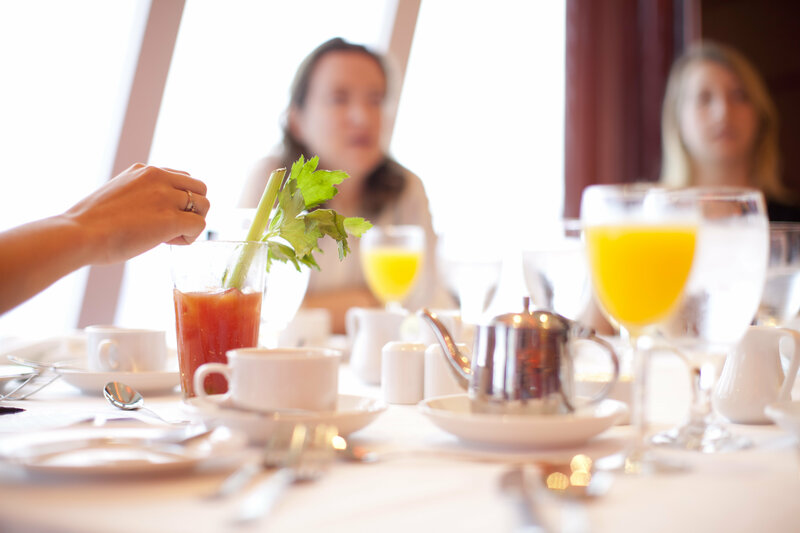 You’ll enjoy two meals on-board per day (usually brunch and dinner) selected non-alcoholic drinks, selected daily shore excursions, and onboard entertainment. Gratuities are also included. More and more ships boast onboard bikes that guests can take out for a day exploring – and U by Uniworld is no exception. Each ship has 50 U Bikes onboard for complimentary use. All the U by Uniworld itineraries have complimentary excursions, along with additional U Time excursions that were designed by local destination experts. 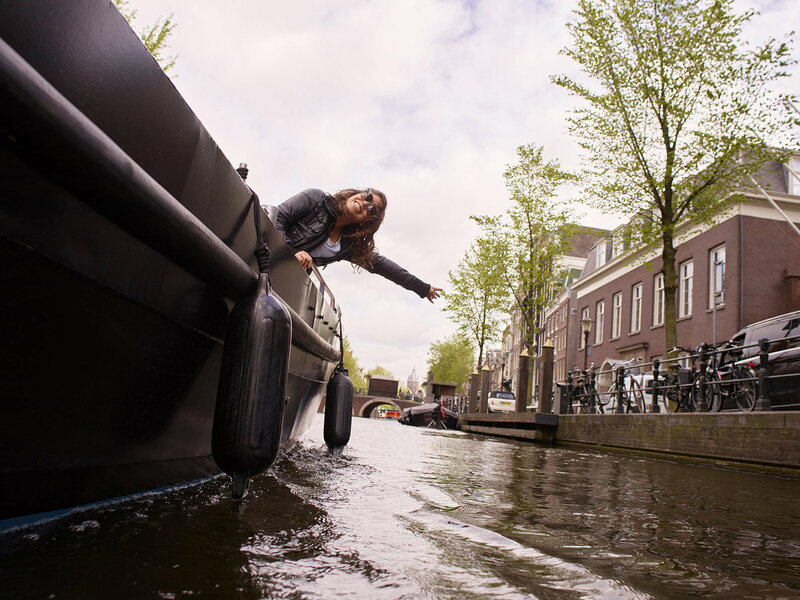 There’s a wide range to choose from – including a mixology lesson in Amsterdam, rock climbing in Germany, classical music in Vienna, and a street art tour in Paris. Starting with Rolling on the Rhine, Seine Experience, Germany’s Finest, and the Danube Flow – and then ending with the festive-themed Dashing Through the Danube and A Merry Little Christmas Cruise. But that’s not all: since Europe’s rivers are home to some incredible festivals, so U by Uniworld offers special itineraries that include them. Such as an Oktoberfest Cruise, and a Danube cruise that stops by the Sziget Festival (one of the largest music festivals in the world). You’ll find treadmills, TRX bands, yoga mats, free weights, and other equipment to help keep up your fitness routine while on holiday. You can then relax in the spa afterwards. U by Uniworld work alongside TreadRight, Just a Drop and One Tree Planted to make sure that the world remains as beautiful as it is now for years to come. They also have a partnership with All Hands and Hearts, which rebuilds resilient schools in areas impacted by natural disasters. U by Uniworld has been regularly described as a “river cruise by millennials” – but it is actually open for all. In fact, it’s largely been the 40+ cruisers who are booking themselves onto these stylish boats.